I lived in Belltown, Seattle and would often walk by Yuki’s Diffusion on 4th Avenue, where Yuki Ohno ran his hair salon. I always quietly hoped that he would be cutting his son’s hair when I passed by, but I don’t think I ever saw the salon open. It’s possible, when I was in Seattle in 2009-2011, Yuki may have been preparing his son for one last push, one last hurrah. 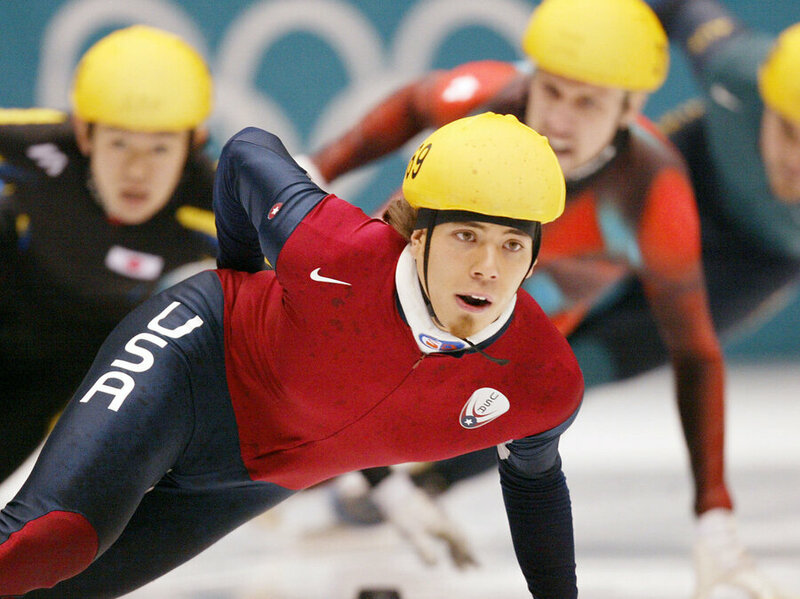 For Yuki’s son is Apolo Ohno, three-time Olympian and American speed demon of the short track. In 2009, he was gearing up for the 2010 Vancouver Olympics, where he would garner two more bronze medals to complement his six medals from the 2002 and 2006 Winter Games, including two golds. But years before Apolo Ohno exploded onto the scene at the 2002 Salt Lake City Winter Games, he was just a rebellious teenager. His mother had left the family when he was one, so the always-on, rambunctious boy was raised by a single father who knew, according to this Seattle Times article, only the way he was raised, with strict discipline and a clear message about hard work and respect.” Young Apolo knew how things were at his friends’ homes, where “their parents are their servants, kids’ fingers snap, there’s the food,” Yuki said. One thing Yuki noticed was that Apolo was athletic, and encouraged his son to swim, then roller skate, before eventually picking up roller blading. According to this ABC News article, Yuki would drive Apolo hundreds of miles around the United States so Apolo could race in rollerblading competitions, this while working full days at the hair salon. After watching the 1994 Lillehammer Winter Olympics together, they were amazed to discover that Olympians were racing around on blades, on the ice. After getting Apolo skates, they soon realized that the kid was very fast on ice skates too, fast enough that he was asked to train with other promising speedskaters at the U. S. Junior Olympic Development Team in Lake Placid, N. Y. Suddenly, Apolo was on the fast track to the Olympics. And yet, while Apolo was physically ready for the challenge, his head wasn’t there yet. As explained in the ABC News article, after Yuki took his son to the airport and left him to wait for his flight for New York, the son slipped away, crashing at the homes of friends in Seattle for two weeks. The father eventually found his fugitive son, and got him on the plane to Lake Placid. At the 1997 trials for the 1998 Nagano Winter Olympics, Apolo was likely a 15-year-old ball of confusion. Out of 16 competitors, Apolo finished 16th. That’s when Yuki insisted that Apolo take the time to think about what he wanted, by himself, by banishing his son to an isolated cottage by the Pacific Ocean where it was cold and rainy. For days, Apolo did little but run and think. It was a tough time for Yuki, too. From that point on, focused on becoming great at speed skating, Apolo Ohno began a long and very successful Olympic career. And his father Yuki was there practically every step of the way, travelling with his son during competitions, the training sessions and of course the Olympics. After all the fighting, the long trips in the cars, the highs and the crashes, Apolo today realizes that his father has always been there for him.